We can see that attitudes have shifted because people are buying cannabis, but collectively, what do people think, asked Brandon Nolte. 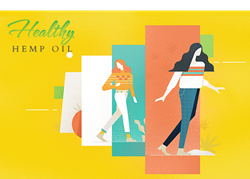 Healthy Hemp Oil, a company specializing in CBD hemp oil, recently conducted a survey that studied the attitudes surrounding cannabis and its usage, as well as potential changes to those attitudes in the modern climate. The study considered questions regarding changing attitudes about marijuana given recent legislation, views on the effects of cannabis and its compounds, and opinions on punishment for possession of marijuana.